The PLATINUM® Protect PA is a light-weight static rope made of 100% polyamide (nylon). 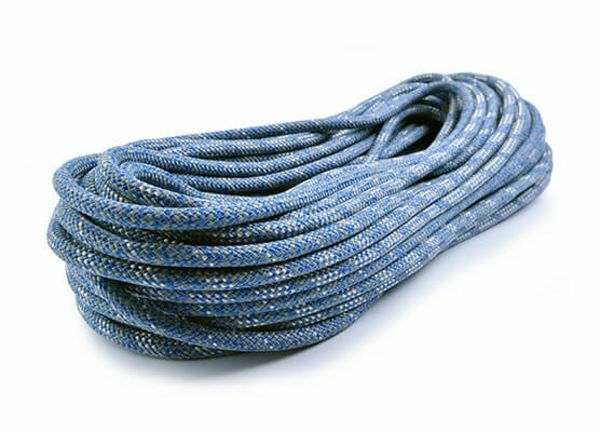 Thanks to its unique PLATINUM® technology, this bonded rope features a permanent connection between core and cover which eliminates sheath slippage and adds safety. The PLATINUM® Protect PA features a connected nylon core and a nylon cover, which makes it lighter compared to the PLATINUM® Protect PES/PA. Compared to polyester, in dry conditions nylon is more robust in resisting extreme abrasive forces and thus is especially suitable for use in rough rescue and hoisting equipment scenarios like in big wall climbing or climbing photography. The permanent mechanical connection between the core and the cover prevents bunching of the cover as the rope runs into the abseiling device. In contrast to the known chemical Unicore connection, permanent connection between core and cover of PLATINUM® ropes is done mechanically. At fixed intervals, sheath yarns are weaved between the cores to connect the cores with each other and with the cover. This technology avoids sheath slippage and add superior safety to the rope especially when used in sharp edged environments. PLATINUM® Protect PA is certified to EN 1891 A and NFPA.